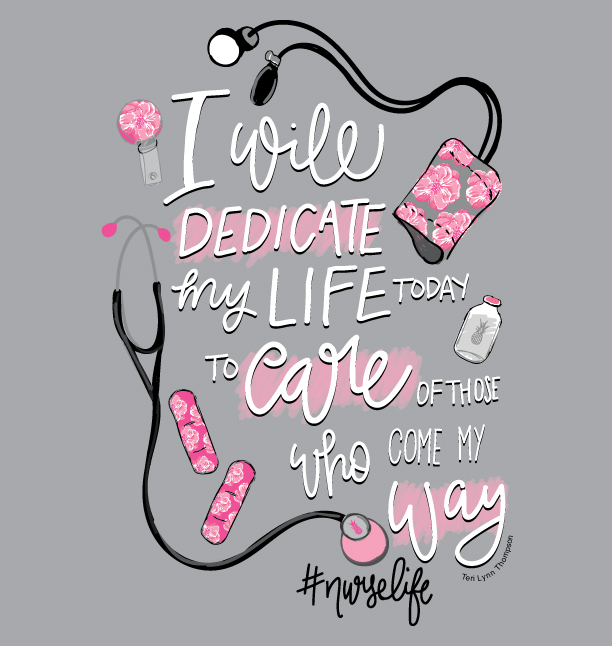 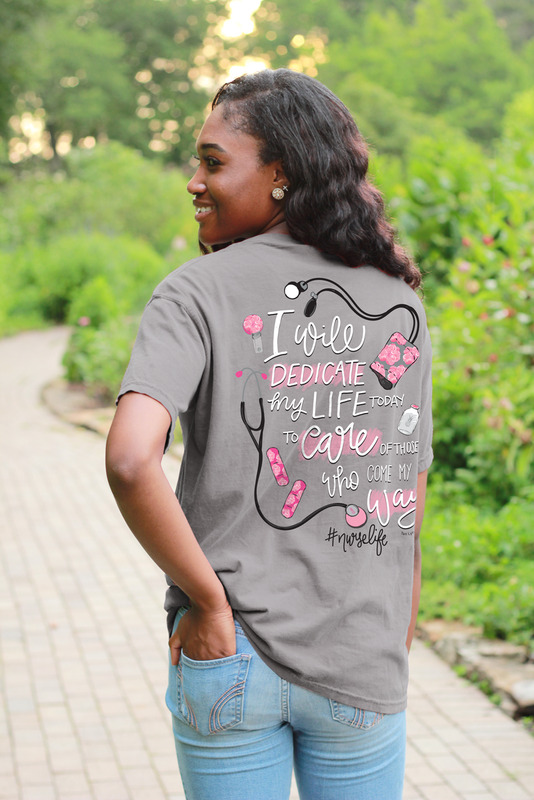 Celebrate the profession you've dedicated your life to with this hand-drawn design printed on the back of a Gildan 100% cotton Gravel t-shirt! 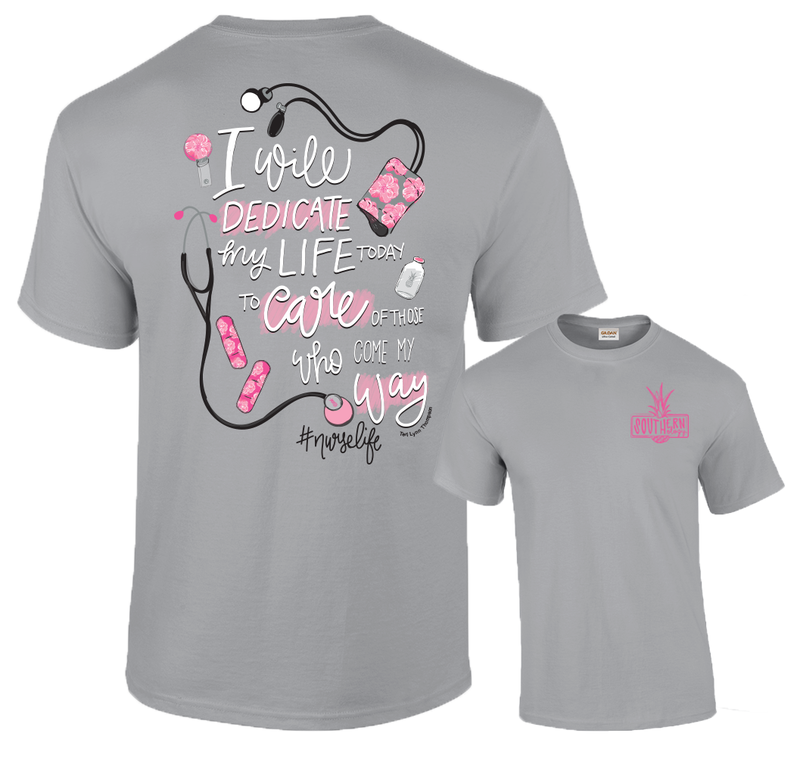 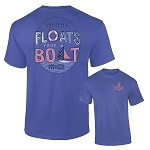 Featuring a stethoscope, blood pressure cuff, badge clip, and bandaids with floral accents, this shirt is designed to honor the dedicated and caring professionals in the nursing field. 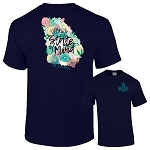 The Southernology® logo is printed on the front in pink.